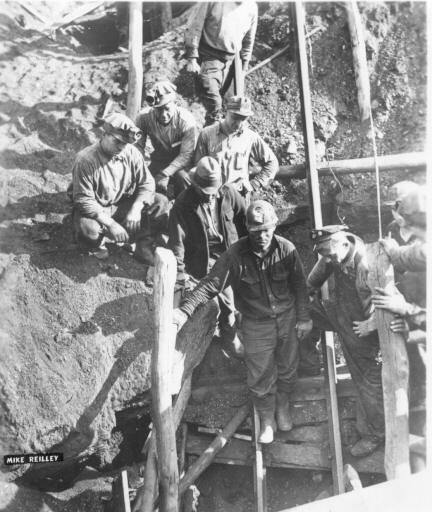 OLD PICTURES FROM THE ANTHRACITE COAL REGION OF PENNSYLVANIA. 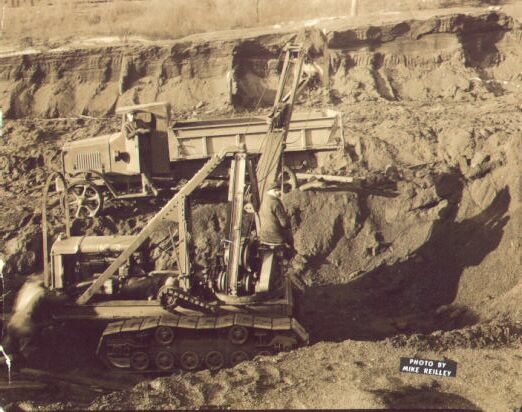 I believe I can be called a true coalcracker because in the 1940's, 1950's and 60's I would go to a local abandoned strip mine and remove dirt and rock and find pieces of coal vein that was not touched. I would then dig out the coal and put it in bags and carry them sometimes up to a half mile till I reached my home or my car. I would then sit with a hammer and crack the coal to chestnut size and the screen it and put it in the coal cellar. I would do this just about every day of the week except Sunday. 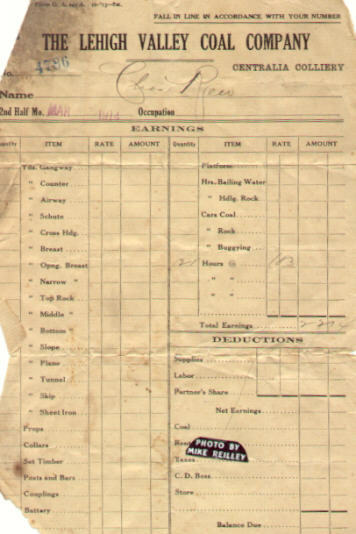 It was very hard to find a job then but even after I got a job I still picked the winters coal. 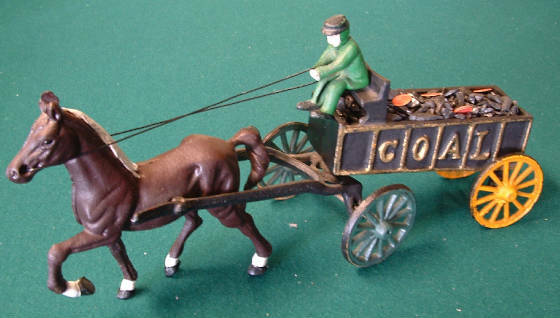 Of course I had to watch out for the coal cops because they would chase me from the area. 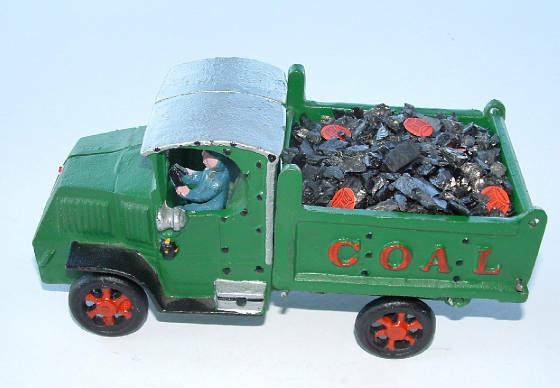 I also picked coal from the rock banks that the steam shovels discarded. 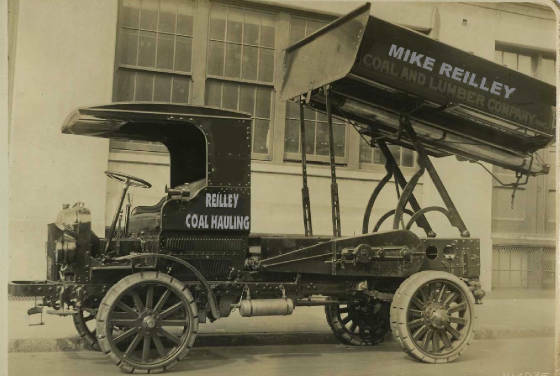 I lived in the coal region and had to put up with power shovels that made noise day and night, coal mines, dirt from the trucks that hauled coal and dirt day and night and the dynamite blasting that shook our homes. 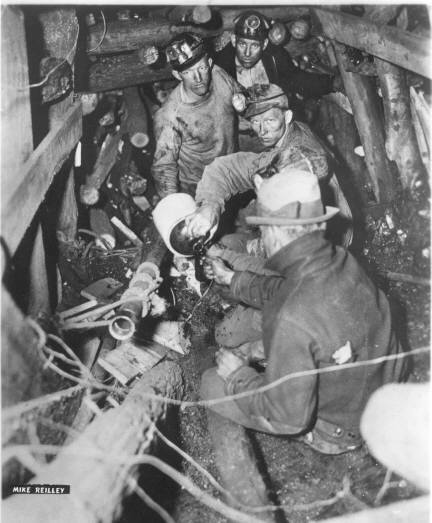 There was a lot of inconvenience but the coal industry provided jobs and a paycheck that helped our Fathers put food on our tables. 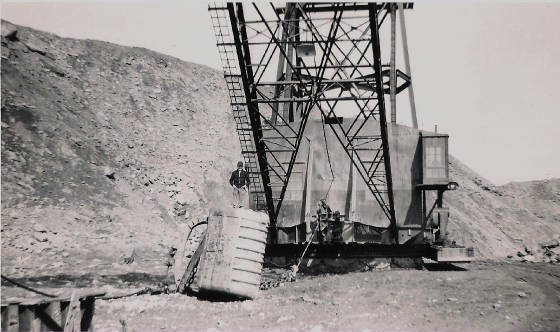 The strip mines were also an entertainment for us, we would sit on the coal banks high above the strip mine and watch big drills churning day and night searching for veins of coal. 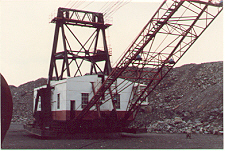 The huge power shovels would then remove the thousands of tons of dirt and rock till they uncovered the coal. The holes sometimes were very deep. 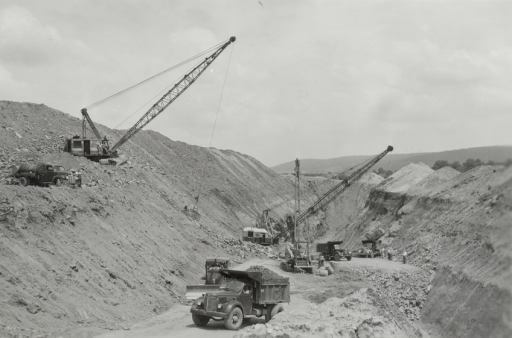 Big trucks hauled loads of dirt away from the strip mine and dump it away from the mine. The trucks looked like little play things when they were down deep in the strippings but when then got near, they really were monster trucks. 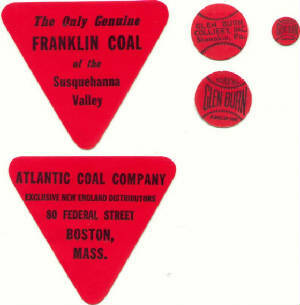 As kids we had a huge playground, acres and acres of land owned by the coal companies. As long as we did not go near their operations they allowed us enjoy ourselves as we pleased. We built shacks, rode bicycles, hiked, picked fruit and berries of all kinds, swam in the many water filled holes (MAYBE THAT WAS NOT A GOOD IDEA) made baseball fields on their land, hunted game of all kinds, put swings on trees all over the mountain and many more things too numerous to mention. As we got older we rode our motorcycles and old cars on all the old truck roads. Let us not forget the bonfires that we built on their land and had big parties for the July 4th holiday. The coal companies put up with us as we put up with them. Just as long as we did not interfere with their operations then we enjoyed each others company. 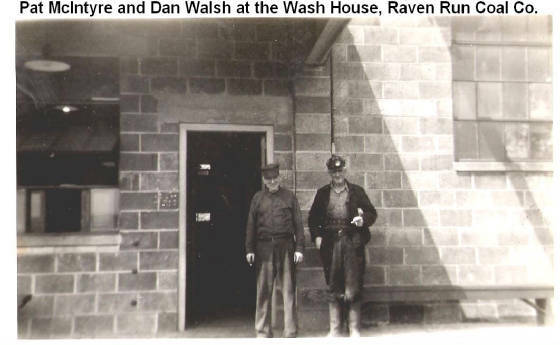 This wash house was part of the Raven Run Coal Co. 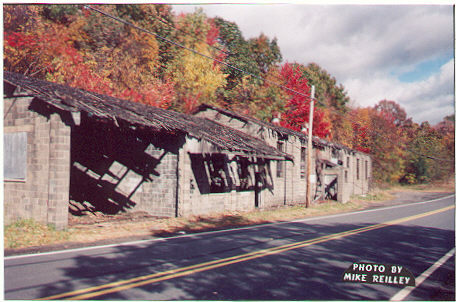 The building was used as a garage for the ambulance, a lamp house that serviced the lamps that miners used in the mines and a place for miners to wash after they finished working. 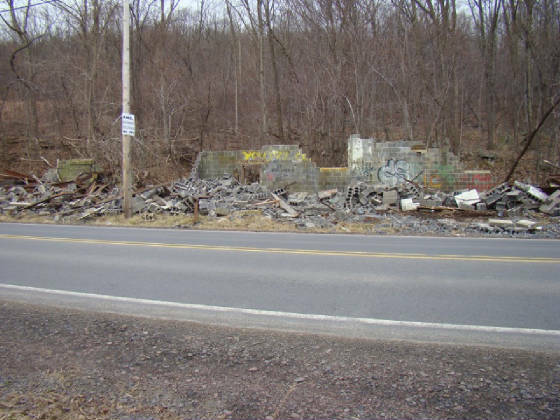 Wash House torn down for safety reasons. Picture from February 8, 2012. I BELIEVE THAT LETTERING MAY HAVE BEEN ALTERED. WARM COFFEE BEING POURED FROM A JUG !